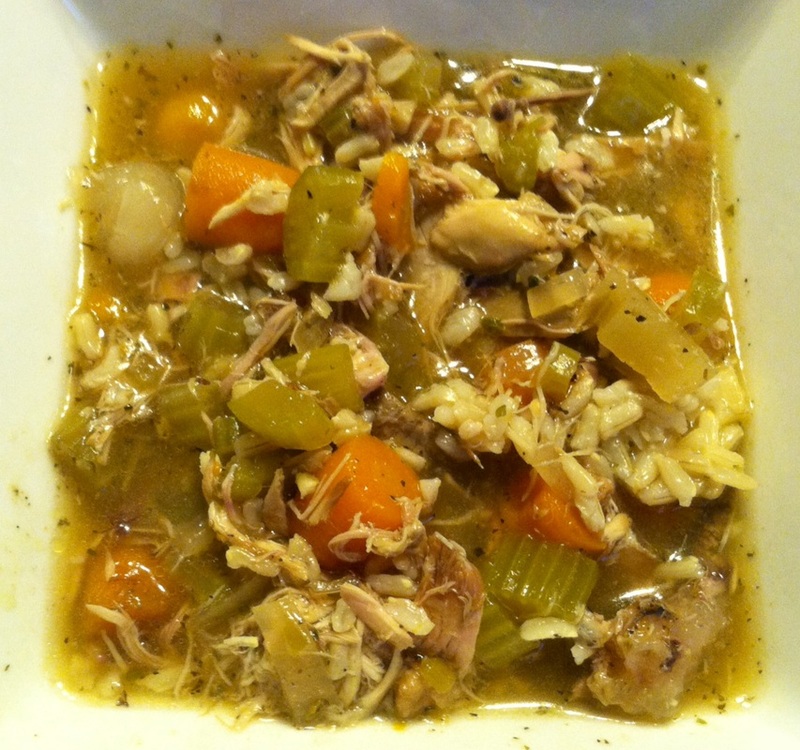 Chicken soup is often thought of as an elixir for people suffering from a cold. Ironically though, the most traditional version of chicken soup is made with white noodles and factory farmed chicken. To increase nutrients involved with virus fighting abilities I suggest using a whole grain instead of processed pasta. Hearty whole grains such as brown rice, wild rice blends, farro or quinoa are superior sources of antioxidants vitamins and minerals needed by the immune system. Make sure to include other vegetables like carrots, celery and onions as they are they offer the highest concentration of healing nutrients. Not only can chicken soup be made into a healthier version it can also serve as a way to use leftover roasted chicken and decrease waste. I recommend buying a 4 lbs. locally and pasture raised bird and making a roasted chicken dinner for 4 people or 2 people with one set of leftovers for both. There is always meat that is difficult to remove from the bones and therefore does not get eaten. After sitting in a crockpot for several hours however, causes the meat to fall off the bone. Using the same bird in two different meals and decreasing waste is a very cost saving strategy. Using seasoning blends makes flavoring dishes much more convenient and inexpensive, specially when fresh herbs are out of season. Cook the grain separately and add to the soup before serving to prevent the soup from becoming too starchy. Store extra soup in the freezer to have on hand when you need a dose of healing nutrients or are just in the mood for some healthy comfort food. Directions: Chop and add the produce and seasoning to the crockpot. On the stove cook 1 cup of the chosen grain. The grain will double in size to meet the amount called for in the recipe. When the grain is finished cooking store in an air tight container in the refrigerator. Place the roasted chicken in the crockpot along with the stock. Cook on low for at least 4 hours. When you are ready to serve remove the bones from the soup and add the cooked whole grain.